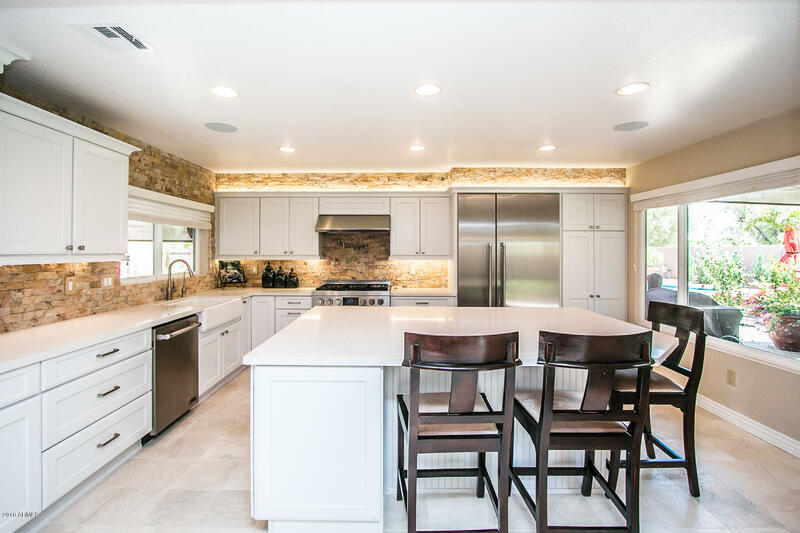 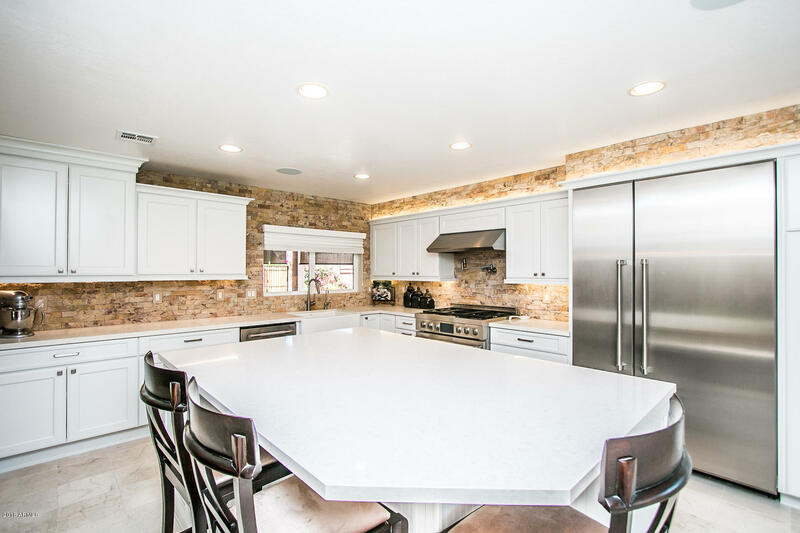 Gorgeous newly renovated home boasting the light, soft contemporary trends of today. 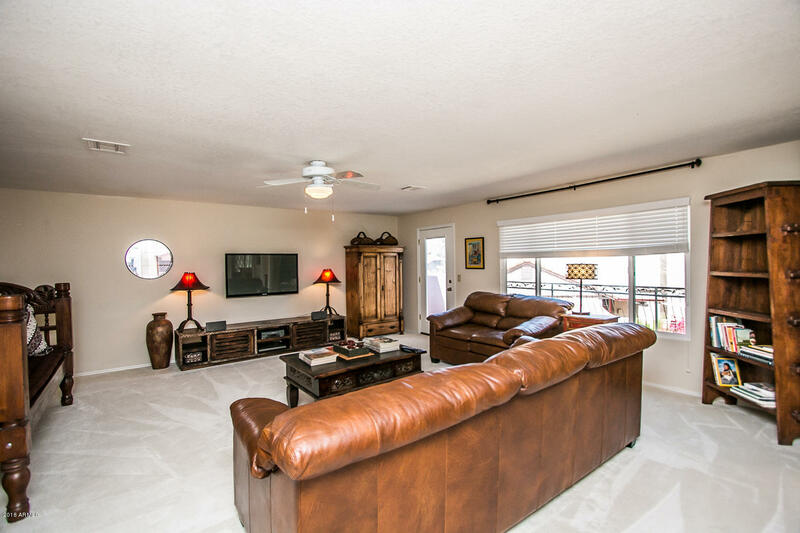 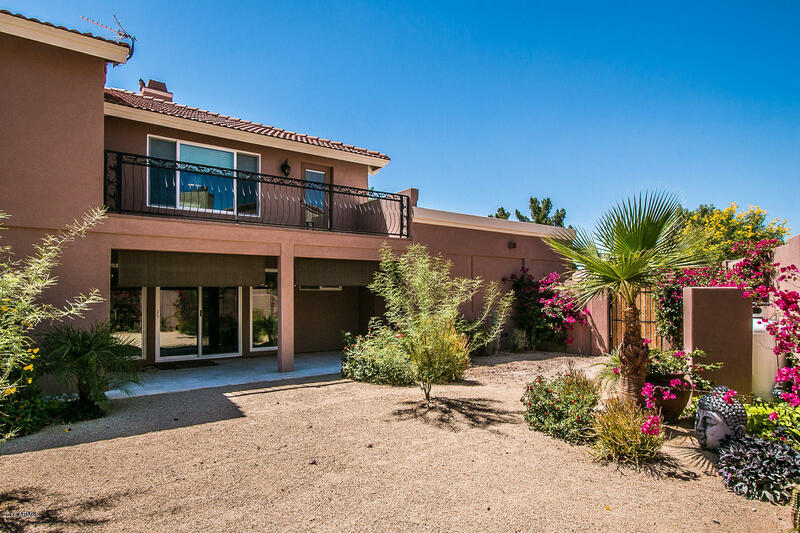 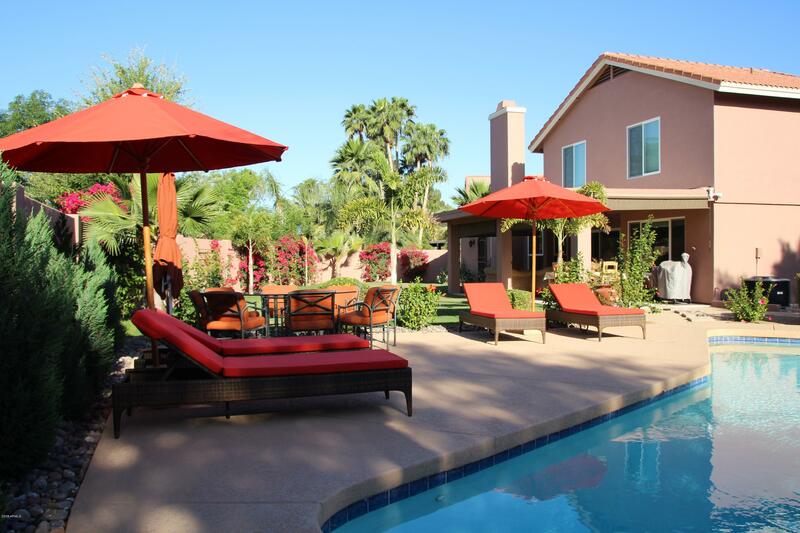 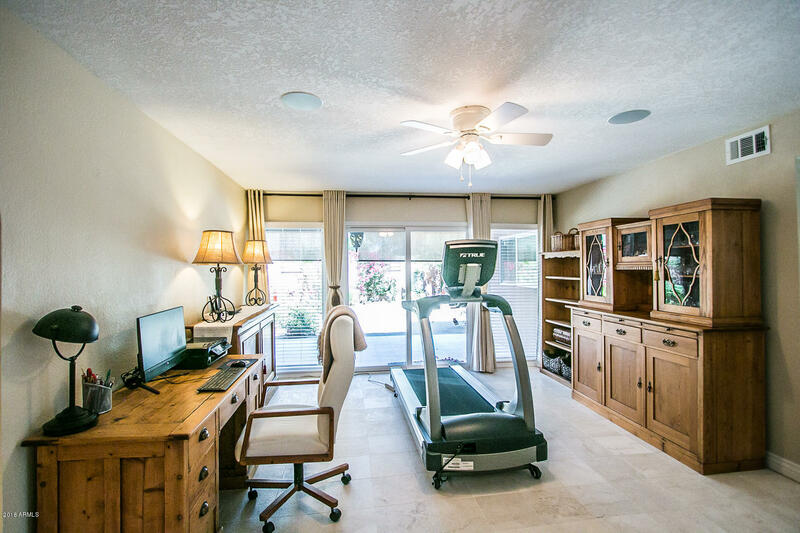 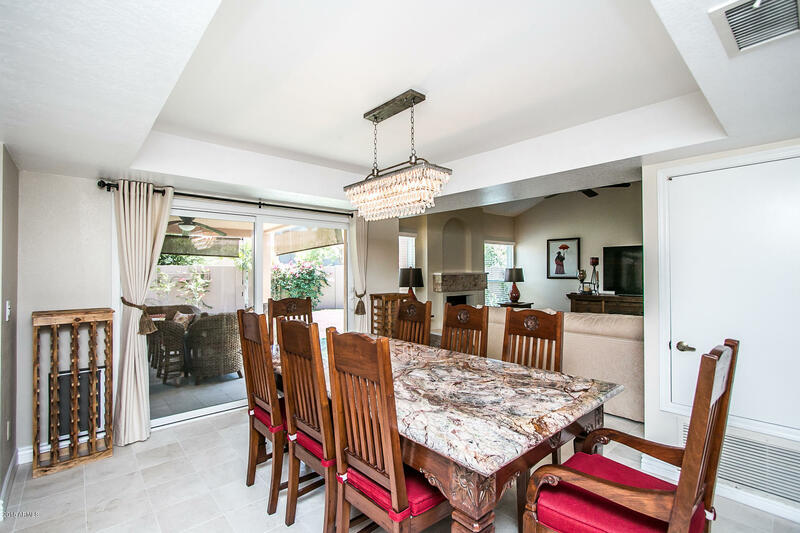 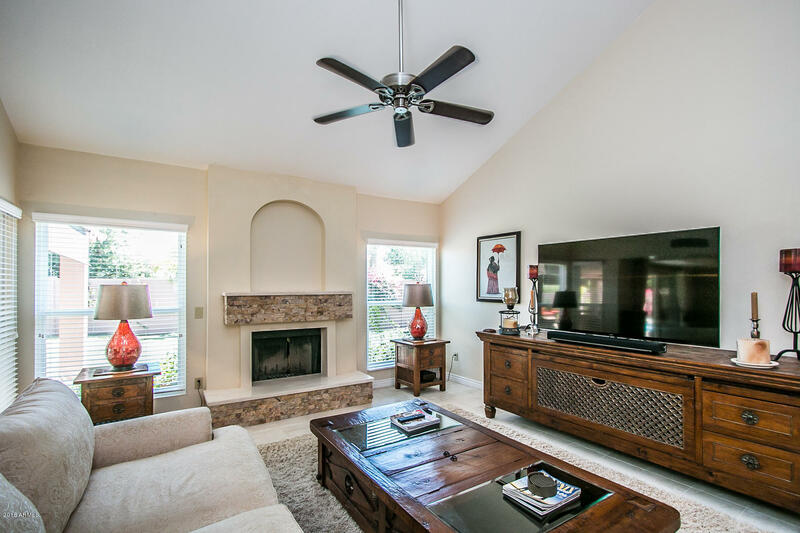 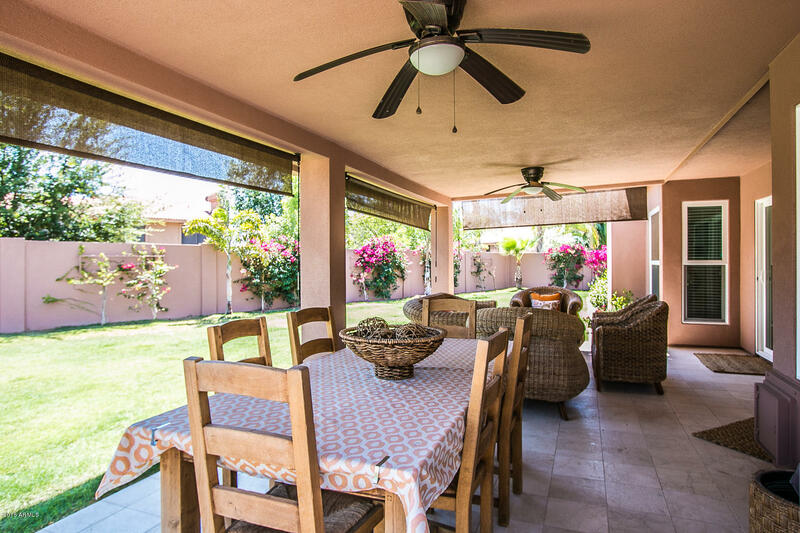 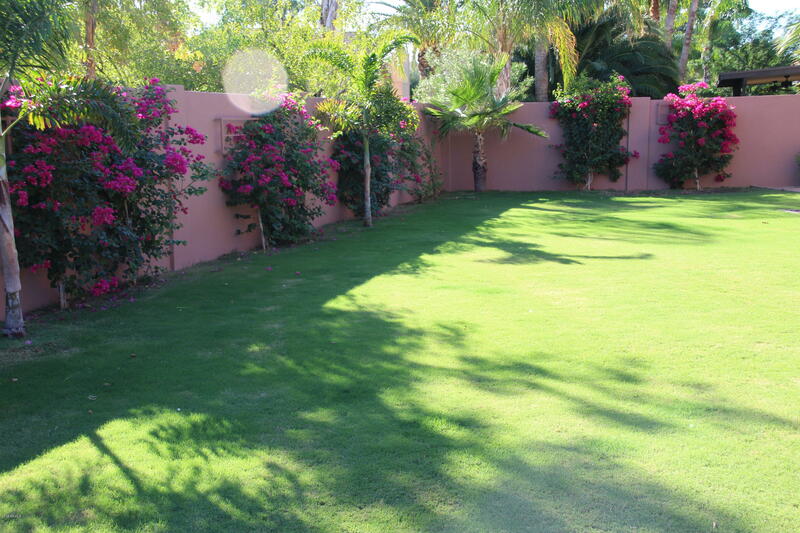 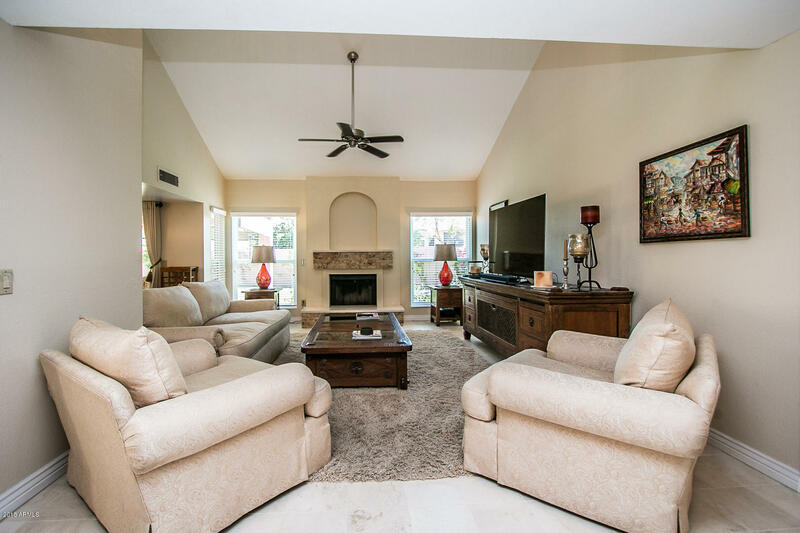 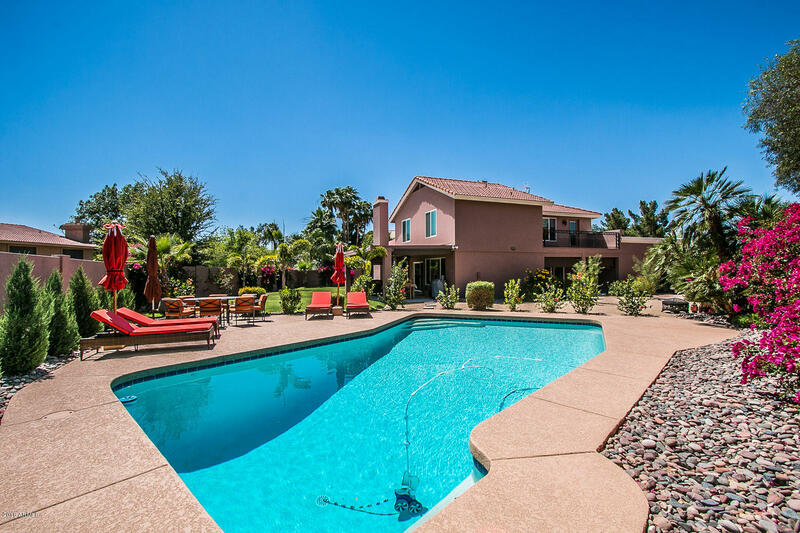 Incredible location close to Kierland-Scottsdale Quarter, restaurants, trails & so much more. 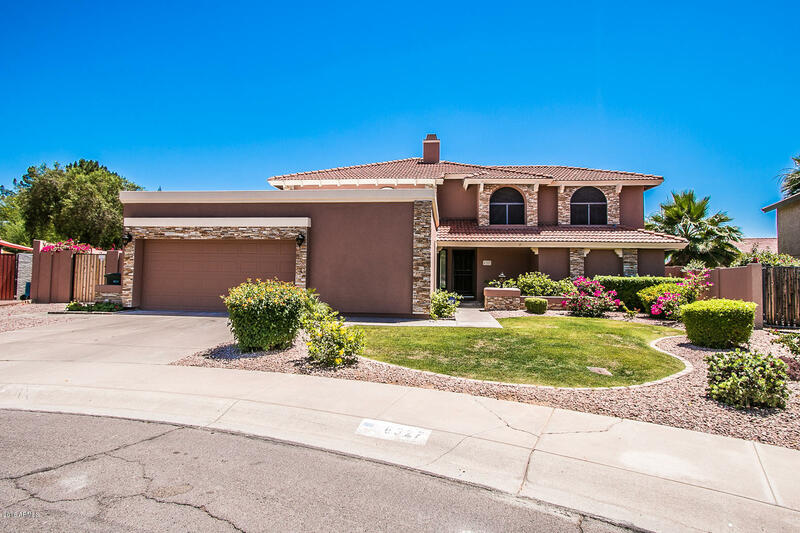 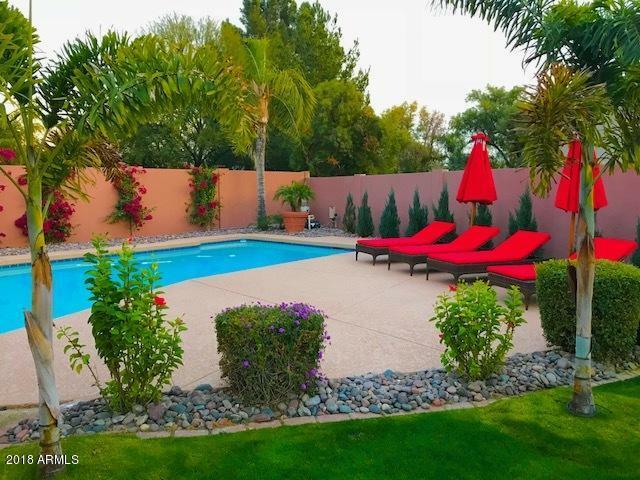 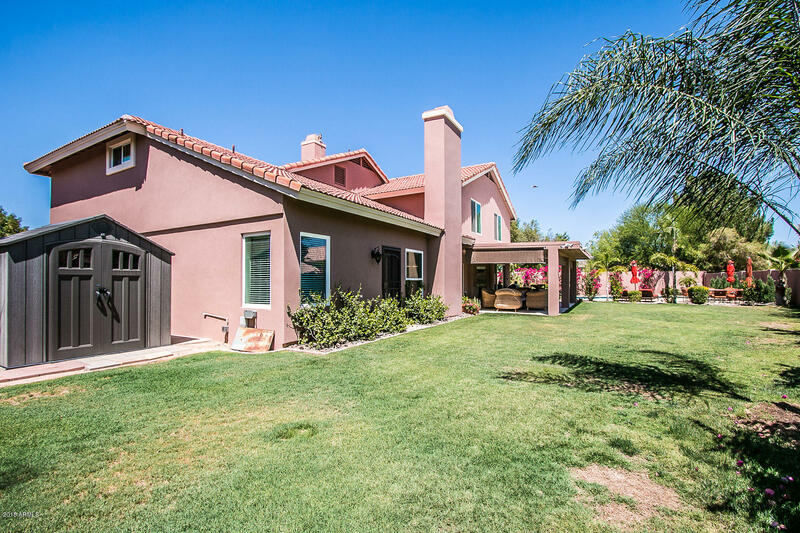 Set back from the street, on the culdasac, this home has an enormous yard complete with huge pool, undercover patio, lounging & grassy areas and lush landscape with complete privacy. 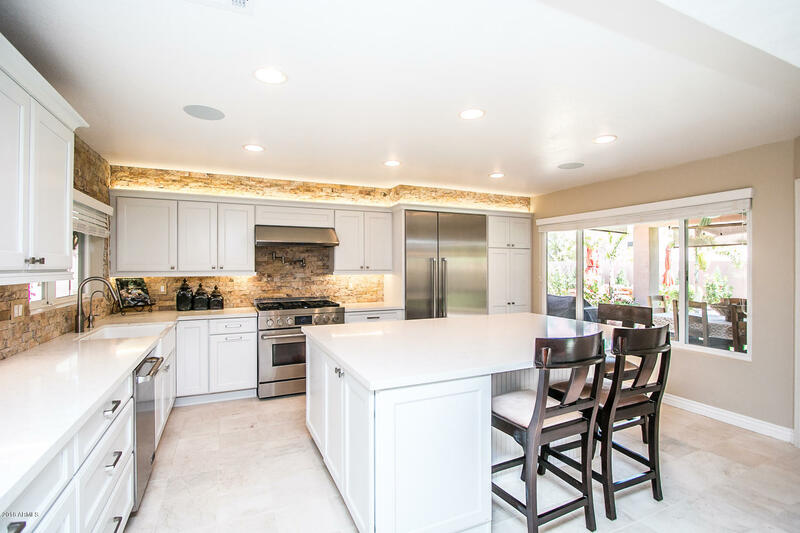 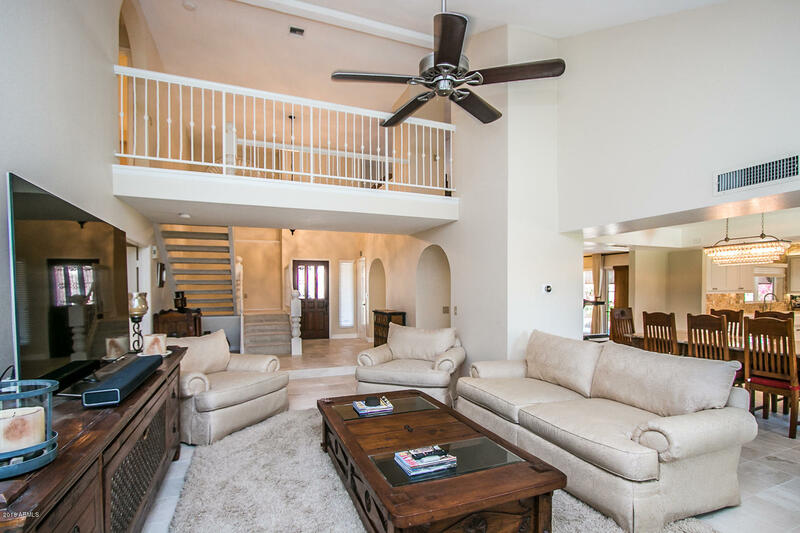 Entertainer's dream- fabulous open floor plan with a Chef's gourmet kitchen, island dining, top of the line appliances flanked by windows showcasing the breathtaking yard. 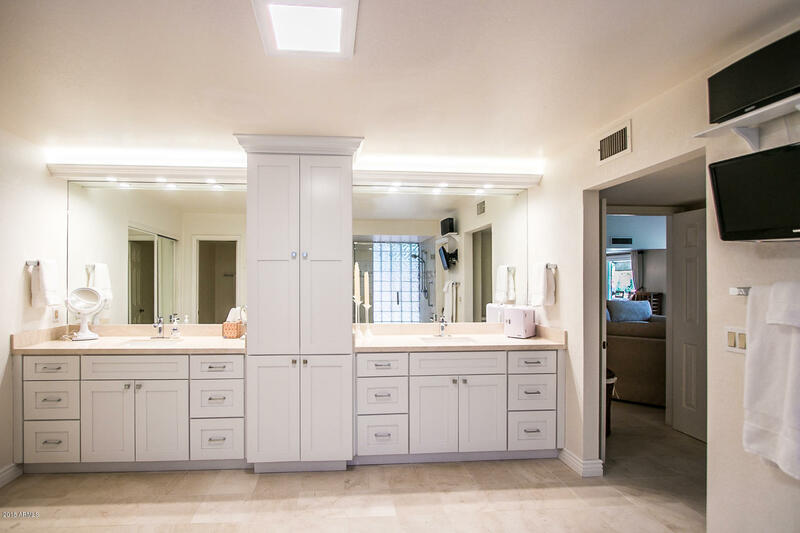 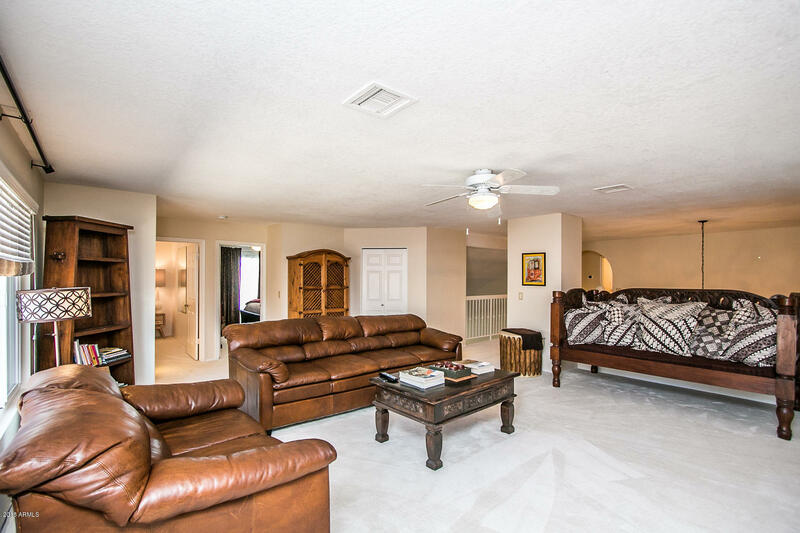 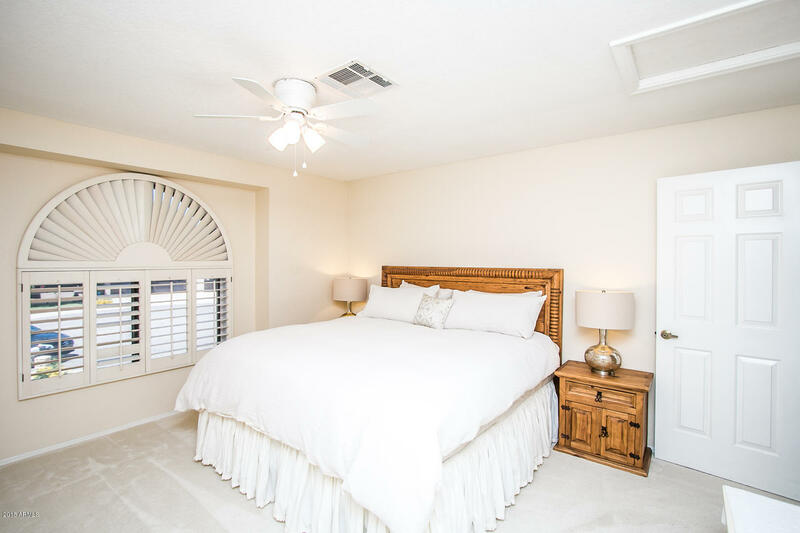 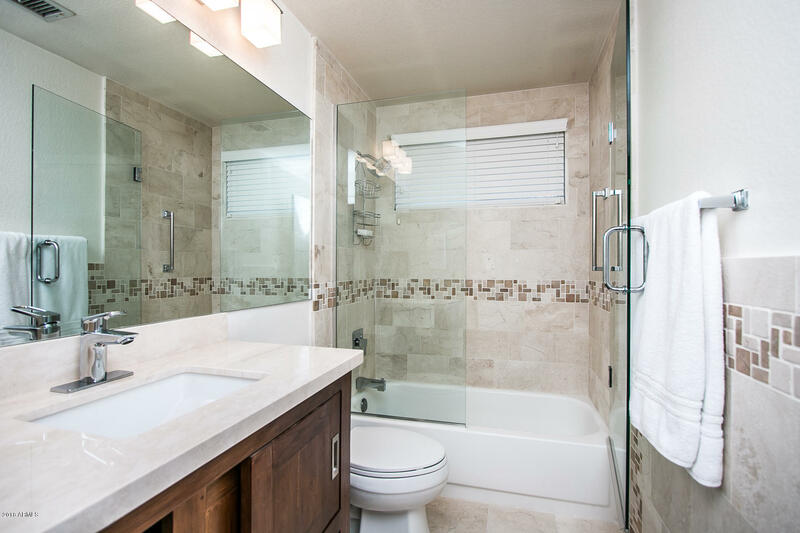 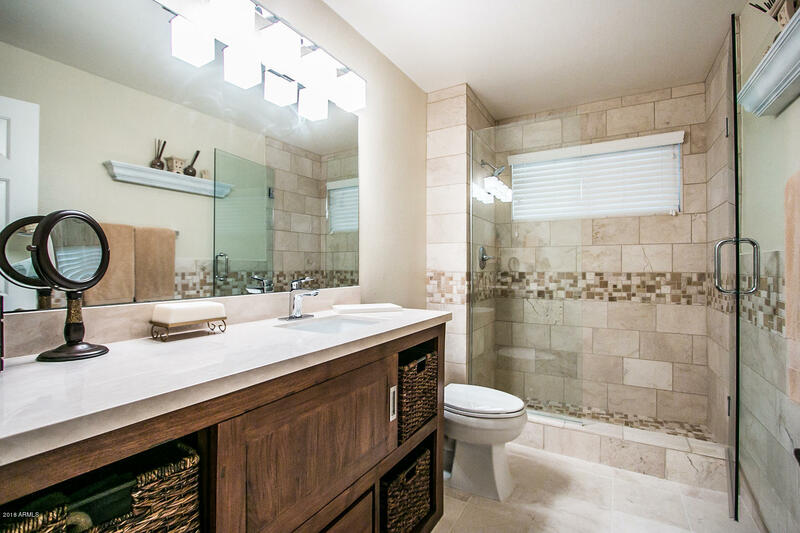 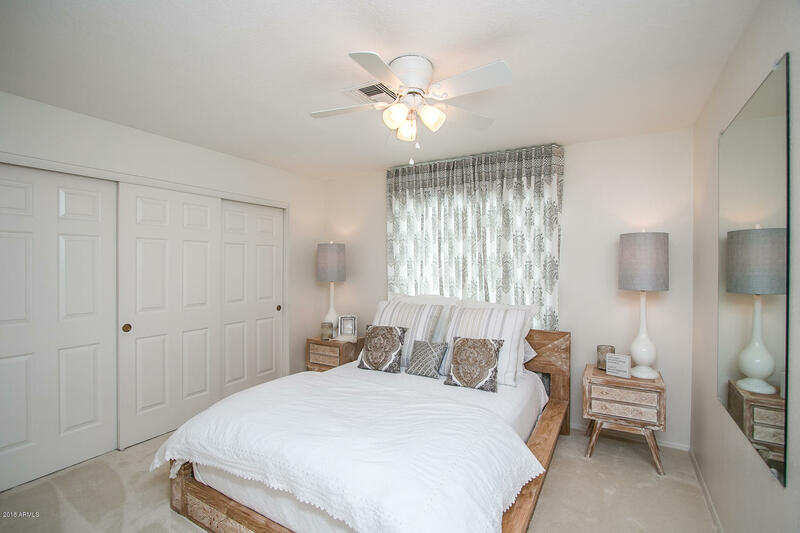 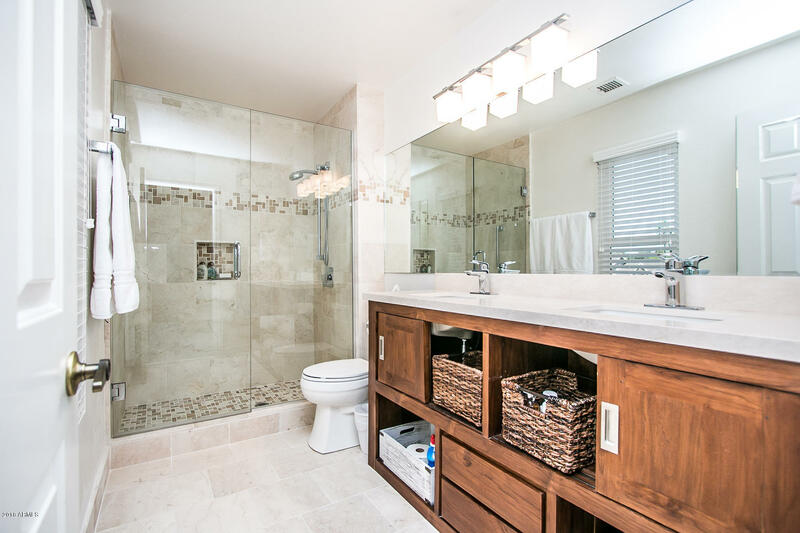 Relax in the tranquil Master oasis with spa like bath & large closet space. 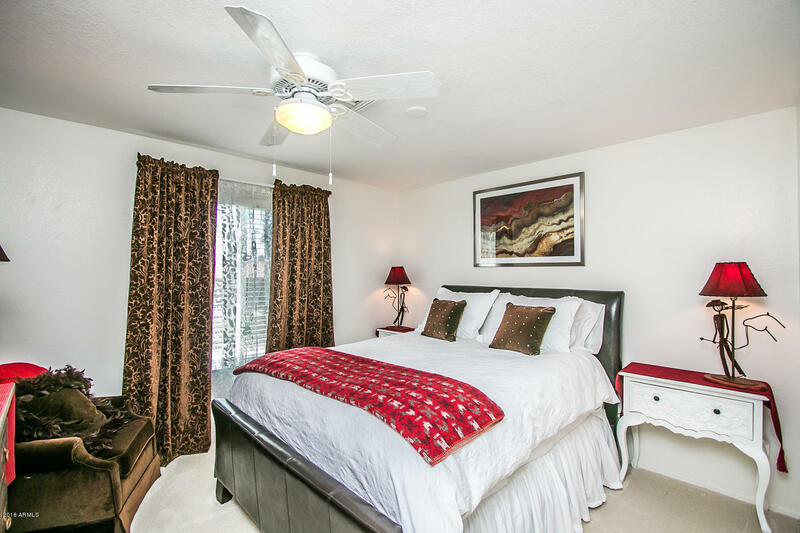 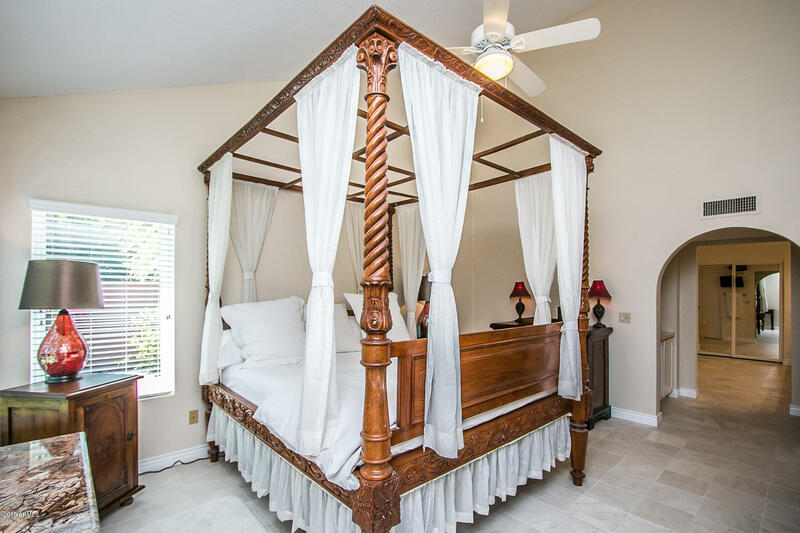 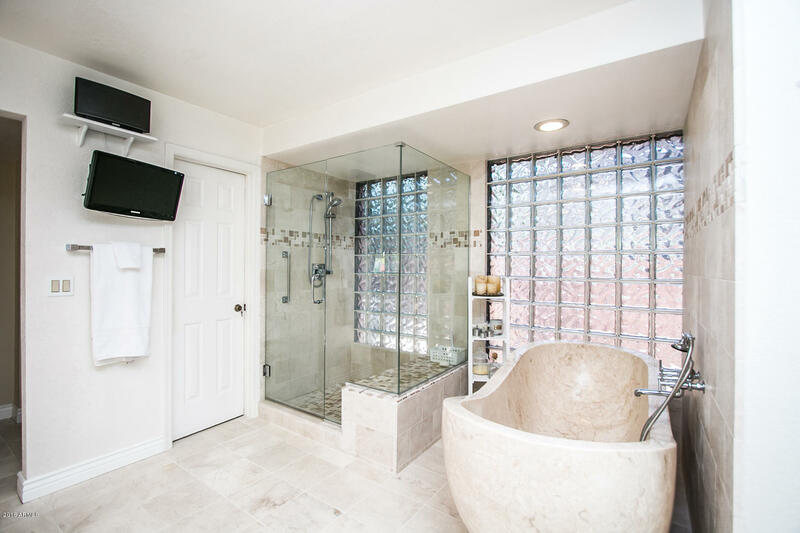 Wonderful Guest rooms with ensuite baths. 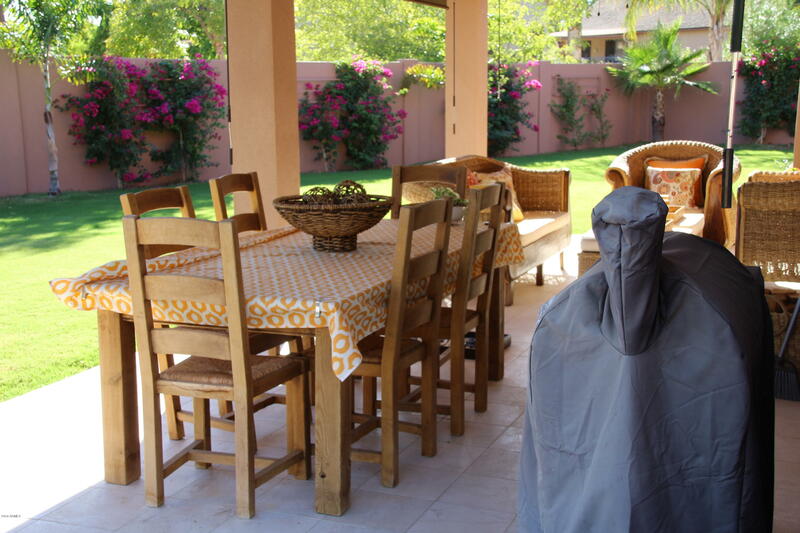 Not a detail overlooked. 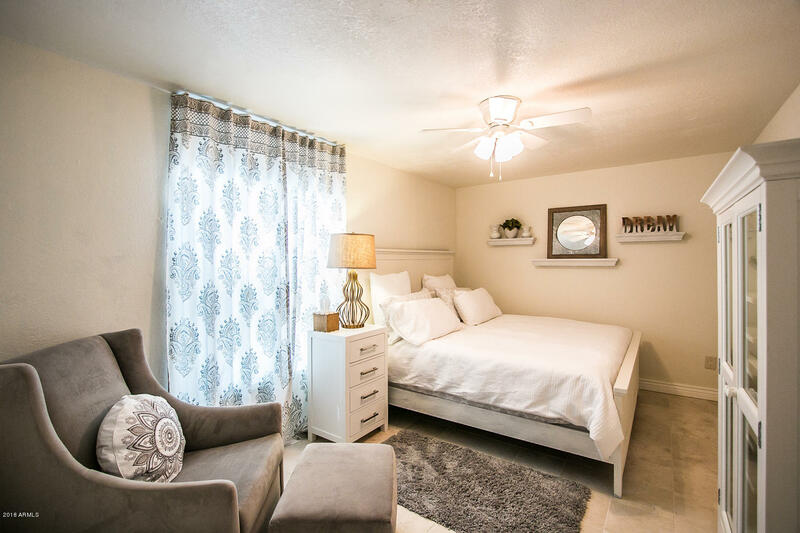 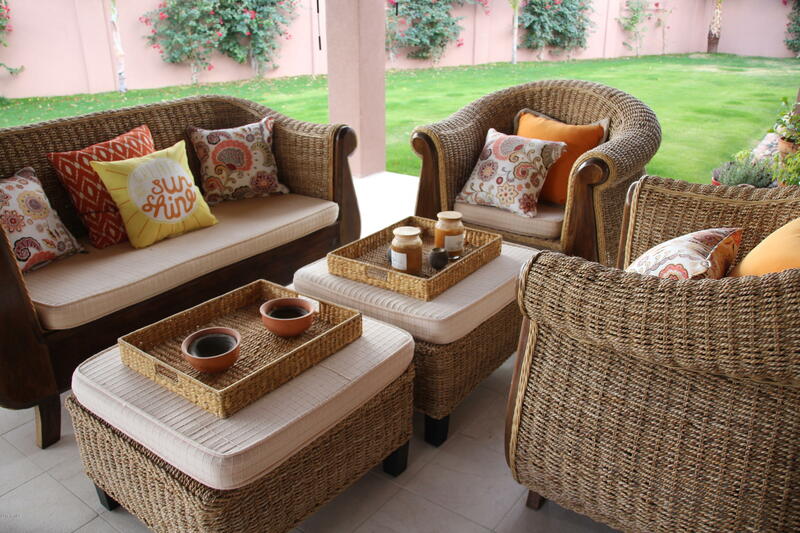 Fully equipt with everything you will need to feel at home away from home.